oyole Corporation, a leading innovator and manufacturer of next-generation human-machine interface technologies and products such as advanced flexible displays, flexible sensors, and smart devices, has introduced the world's first 4G LTE 3D virtual mobile theater. The new 4G Royole Moon is first launching in China for the Chinese market. Designed and engineered for movies, the Royole Moon features two Full HD 1080p AMOLED displays at over 3000 ppi resolution that simulate a giant curved screen with stereoscopic 3D. 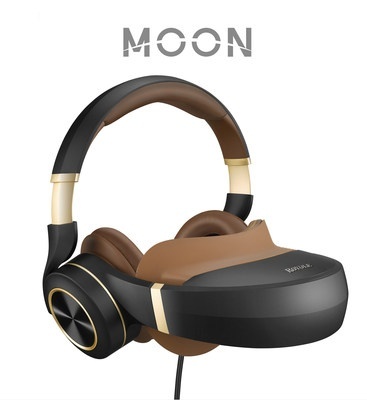 Moon also includes automatic recognition of 2D/3D content, active noise-cancelling headphones, a scalable screen that gives the wearer full control over screen size for a personalized viewing experience.